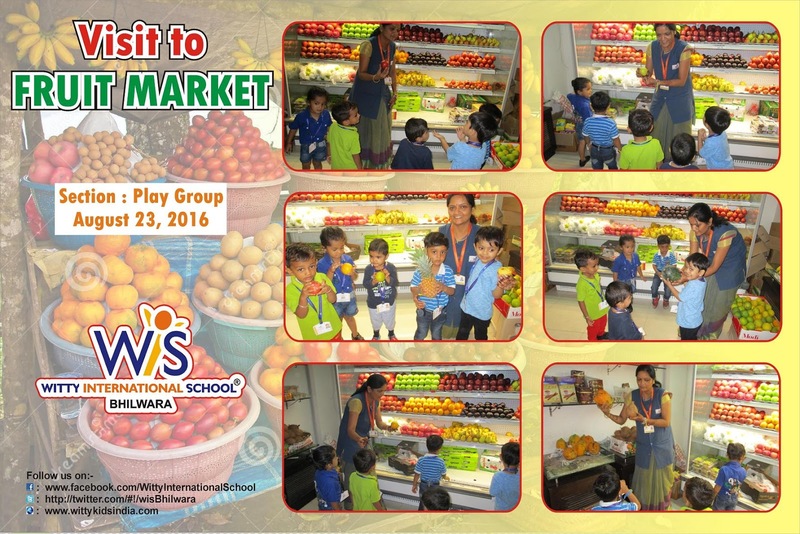 The tiny tots of Play Group WIS Bhilwara went for the Field trip to Fruit market on Tuesday, August 23,2016. The kids saw different types of fruits such as watermelon, apple, pomegranate, chickoo, banana, pineapple, etc. Through this kids could recognize fruits.